Big news: the Emmy Award nominations are Thursday morning and rejoice, because they will be announced at 11:20 a.m. instead of 8:20 a.m.
OK, maybe it’s only a big deal to sleep-deprived reporters who cover the nominations every year; plus, you know, the actual showbiz types who wake up at the crack of dawn to find out if they’re nominated. But it’s understandable if the Emmy nominations aren’t on everyone’s radar. After all, it’s known as the awards show that nominates the same shows and actors over and over and over and over again. Amazon’s Transparent, Fox’s Empire, CW’s Jane the Virgin: three shows that made big waves last TV season and now have their first chance to be nominated. The Golden Globes already got a jump on things by giving big honours to Transparent (Best Comedy; Best Comedy Actor for Jeffrey Tambor) and Jane the Virgin (Best Comedy Actress for Gina Rodriguez). 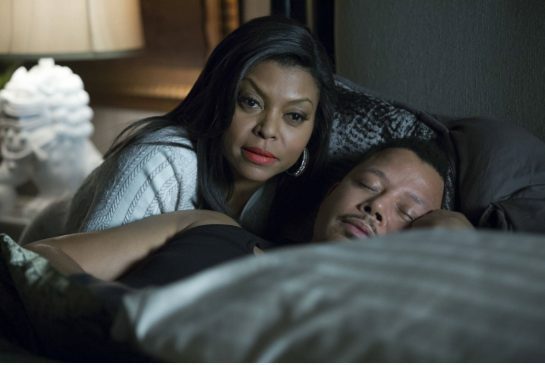 History-making Empire wasn’t eligible for the Golden Globes, but we don’t even want to know what will happen if Taraji P. Henson doesn’t get a drama actress nomination for her groundbreaking portrayal of Cookie. Plus, now that Breaking Bad is over and has cleared the way for some new drama nominees, look out for less critically loved but Golden Globe favourites The Affair and How to Get Away With Murder to get some attention, particularly with actors Dominic West, Ruth Wilson and Viola Davis, respectively. On the comedy side, Netflix’s Tina Fey series Unbreakable Kimmy Schmidt should also make a splash. The academy also expanded the race for best program, so now there will be seven options in the Best Drama and Best Comedy categories. Sure, we’ll obviously have the usual suspects for each (Game of Thrones, Mad Men, Downton Abbey, Modern Family, Veep) but there may be some wild cards. Particularly because True Detective and Breaking Bad, which took up room in the drama race last year, aren’t eligible this time around. Another new twist: the academy split Best Variety Series into two different categories: “talk show” and “sketch.” That means that HBO’s LastWeek Tonight With John Oliver and Comedy Central’s Inside Amy Schumer, two of the buzziest series from the past year, don’t even have to compete against each other and both are basically locks to be nominated. You know what David Letterman hates? Award shows. Doesn’t matter: although Late Show was shut out of the variety series category last year, there’s little chance the academy will let him walk off into the retirement sunset without giving him a nod for his final season. And an even smaller chance they’ll let him off the hook without a win.